Argentine director Laura Sanchez Acosta is set to premier her new short film La Solapa over in Brussels during BIFFF. The director of Relicto A Mesopotamic Story, Sanchez Acosta made her film after she won the short film prize at Blood Window in 2017. 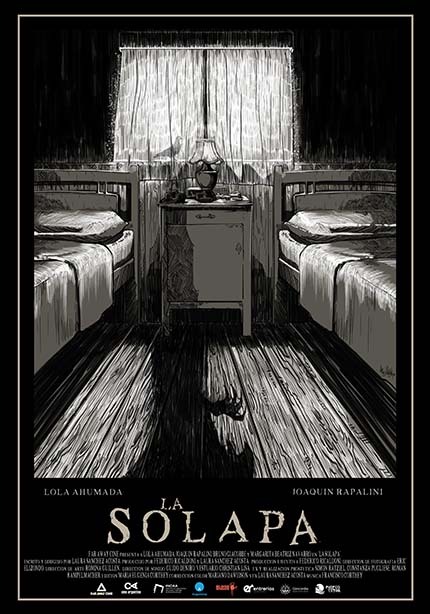 La Solapa will return and have its Latin American premiere at Blood Window Pinamar this month as well. During a hot summer afternoon at their grandmother’s county house in Entre Ríos, Malena terrifies her little brother Santiago with a local myth in which kids are watched by pigeons and captured by a horrendous monster if they don’t take a nap. Deathly bored and despite of Santiago’s request to stay inside, Malena goes to look for internet with her cellphone in the forest nearby, without knowing the consequences that a simple walk under the sun can unleash. Laura came up with La Solapa, basing the story off of local folklore, and called it her love letter to one of her favorite directors. So she told me some time ago. She also said that she has a feature length version of this story which would be her marriage proposal. Who that director is, is between her and I. To mark the occasion Laura sent along a few exclusive images to share with you. They feature Lola Ahumada Santiago as Malena, the elder sister who ignores the local folklore and ventures outside when she should be having a nap. Though there is no clear shot of La Solapa in these images you can catch of bit of her in the background of one shot. Oh. I've seen La Solapa. It's good. It doesn't stray far from the rural folklore horror style Sanchez Acosta played with in Relicto.